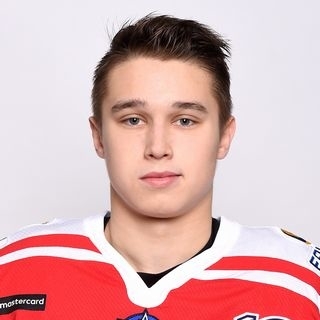 In this week’s edition of our continuing Not A Word About Hockey series we’re going to talk to JHC Spartak Moscow player Yegor Kuzmenko. 19-year-old forward shared what he likes to do in his spare time, his character traits and music preferences. - I decide on my diet myself. I don’t have a set and specific meal plan. I’m not too picky when it comes to food. The most important thing for me in food is that it has to be tasty. - I like different vacation types. It all depends on my mood and physical condition. My ideal rest is a calm day at the sea beach. - I dream of visiting United Arabian Emirates and Dubai. - When I meet with my friends, we usually go for a walk and sometimes we rent a court to play tennis. We can also get together and play some soccer. - I listen to all kinds of music, except hard rock. Actually, I just add to my playlist whatever I like. The latest track I added was In Love by MiyaGi & Endspiel. - I’m a pretty goal-driven kind of person. Sometimes I can be stubborn and by-the-book but I never refuse to help. If I have a chance to help somebody, I always try to do that. Sometimes in life it’s you who lends a hand today but then tomorrow it’s the other way around. I believe that caring is an important trait for everyone. - I have never felt like not going to the game. I always want to hit the ice, battle for my team and prove that I’m a good player. - A real man must have sturdy character. Only a man with strong spirit can Make responsible decisions and defend his point of view. Man must be clever, set high goals for himself and work towards them. - When I meet new people, first thing I look at is how they’re dressed and how clean they are. – I like some brands but not all the time. Black and red are predominant colors in my wardrobe. Usually I prefer sports style. I seldom wear classics. - I have a girlfriend. She likes hockey very much. She dances, studies and works. She’s my ideal. I trust her completely. - I’m in a serious relationship and I don’t believe that they get in a way of anything, including my sports career. - If my son is going to show inclinations towards sports, I’m going to sign him up for hockey. If I’m going to have a daughter, I’ll trust my wife with her. - For me family is above all caring. Man and woman have to take care of each other and their children. - I study at RGUFKSIT. I’m in my second year of distant studies. I rarely go to classes. Hockey takes up a lot of my time. Most importantly is that I do everything on time, so I don’t have any trouble. - Higher education is a very important thing. I think it’s a necessary stage for every man who has respect for himself.